Thanks to our mastery of Microsoft development tools and expertise in software engineering, we can create custom applications tailored to your changing needs. The section below introduces DobermanAppWatchTM and our approach with respect to Microsoft tools. DobermanAppWatchTM is an intelligent platform designed to provide you with peace of mind during the development phases of your application. Its benefits include providing you with an overview of both current and future improvements. DobermanAppWatchTM also features monitoring tools for both cloud-based and on-premises use that validate your data’s integrity and all critical aspects of your applications, thereby ensuring business continuity. 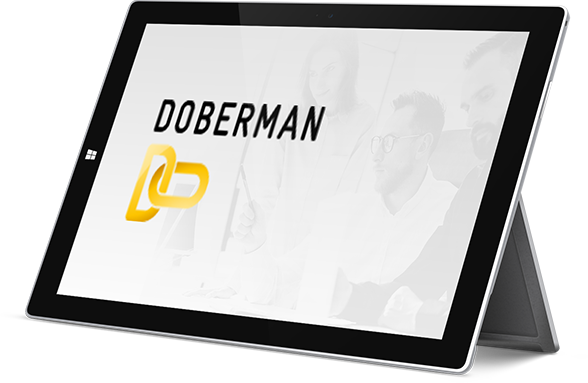 DobermanAppWatchTM allows both technical and non-technical managers to understand a system’s status at all times and enables support teams to intervene when necessary. Which should you choose: cloud-based or on-premises solutions? Often, the best option is to aim for a mix of the two. That’s why Emyode excels in designing applications in hybrid environments using Azure. This enables you to make the most of your investments, whether on-premises, IaaS or PaaS. True continuity requires complete mastery of development tools. Emyode understands the role and importance of each tool and uses them together to maximize their potential. That’s why we have received ALM certification. We have been developing applications in PaaS mode since the launch of Azure in 2011. We therefore understand SQL Azure inside out. The decision to use SQL Server or SQL Azure is based solely on the business merits of each. The integration of Office 365 and custom applications is crucial to ownership of business solutions by users. Whether it’s for a new deployment of Office 365 or a user-friendly integration, Emyode can help you make the right choices.